It’s unfortunate when there is any kind of accident on a job site, and it is especially sad when it costs someone their life. A workman working in the St. Louis area died in August last year due to his inhalation of toxic and hazardous materials. OSHA released a report this year citing the contractors involved with numerous violations of OSHA standards, along with substantial fines (over $200k). A review of those citations serves as a reminder to all industries and commercial businesses to be vigilant as well as diligent when it comes to safety. Workers grow accustomed to the dangers around the workplace, and when they do, that’s when accidents can occur. The citations serve as a primer and a good checklist for your company’s safety policies. Here is a partial list of the violations, with suggestions for how they might relate to your company (no matter what business you are in). Complete the required permitting. It’s tempting to skirt the necessary permitting for any job because it takes time and money. It is a serious matter to avoid such permitting, and avoiding them can lead to far greater costs in time and litigation. Provide and require the use of appropriate harness and retrieval equipment. 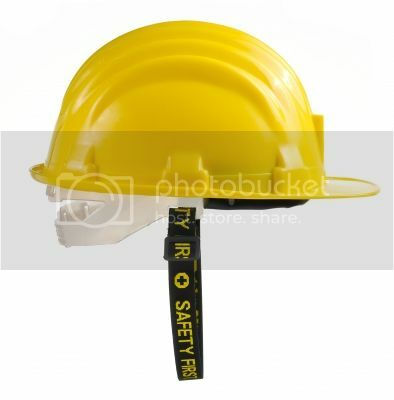 Many employees chafe at the requirements for safety equipment. They may perceive that the equipment gets in the way, or slows them down or is uncomfortable. Supervisors must be diligent in making sure that the safety equipment required for your industry is in place and is used. Put in place the proper safety procedures, failed to have a properly trained person in place to oversee the procedures, and failed to properly train and equip the workman in the procedures and use of the equipment. Every company whose business carries hazards should have carefully crafted safety procedures in place. These need to be written down and reviewed regularly. Someone qualified should be assigned the responsibility of training and oversight. All training of employees should be carefully documented, along with updates and safety reviews. If you don’t keep records and review them regularly, safety will gradually degrade. Supply the necessary personal equipment, as well as work related equipment and protections. In this case, there were some very mundane things that were neglected (gloves, ladders, fire extinguishers). There were also critical path items that were neglected, such as respirators and on site testing/safety equipment. Does someone in your company know where your fire extinguishers are located? Are they current? Do your employees have and use protective equipment such as gloves or safety glasses? Is there a clearly defined evacuation/rescue plan in place? It is important to note that both the general contractor and the sub-contractor (a commercial painter) were cited and fined. In this specific situation coatings were being applied in a confined space, well below grade, which lead to the workman’s death. However, the safety lessons apply to every industry. This event also reinforces the reality that whether you are hiring a commercial painting company or any other contractor, make sure that you deal with companies that adhere to only the highest standards. If you don’t it, may cost you.